However, a baptismally alert and alive community that functions through collaboration, consensus, and circular leadership is not an end in and of itself. It’s not just a different institutional construct for its own sake. It exists for the full realization of what it means to do ministry in daily life. The Right Rev. 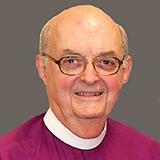 Edward L. Lee, Jr. is the former Bishop of Western Michigan (1989-2002) and recently retired from being Assisting Bishop in the Diocese of Pennsylvania, his diocese of baptismal and ordination origin. His ordained ministries include campus ministry, peace movement and social justice endeavors, and parishes abroad (Italy) and domestic (Philadelphia and Washington, DC). Reprinted from Living God’s Mission. Image: Episcopal Church Foundation.